Details of the 2018 Carlisle Stages will be announced along with early information about the 2019 Roger Albert Clark Rally. 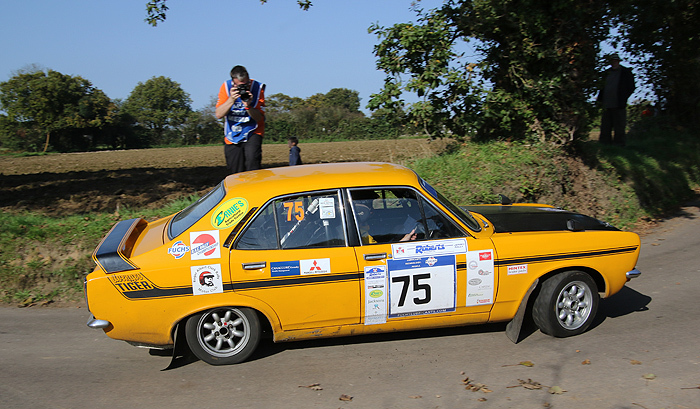 The 2018 season will be the fourth year for the BHRC, Britain’s leading championship for historic cars, of a five-year term under the management of the Roger Albert Clark Rally Motor Club. Going into its third season is the RACRMC Historic Asphalt Rally Championship, which gives UK historic competitors a dedicated asphalt championship covering rallies in the UK and Belgium as well as a return visit to Jersey. A great deal of interest is sure to focus on outline information for the Roger Albert Clark Rally, which will next run in November 2019. Building on the outstanding reception to the 2017 event from competitors, marshals and fans, rally manager Colin Heppenstall plans to issue some early information about the next edition in November 2019. Meanwhile, early details of the Carlisle Stages (Saturday 9 June) will be available for the event that is the fifth round of the BTRDA Rally Series as well as a round of several regional championships. Members of the team, headed by Colin and Nicola Heppenstall, will be on hand to meet current and prospective competitors as well as event officials and fans. Championship registrations and club membership renewals will be available to visitors. The 2018 calendar replicates the successful 2017 schedule and highlights include a double-header round on Rally Isle of Man in September, the Jersey Rally in October and the Salamandre Rally in Belgium in April. The season will conclude with the Jersey Rally on Friday/Saturday 12/13 October. The recent 35th running of the event was the first time it had been a round of the championship and the rally received very positive reports as a challenging event on excellent roads and with a warm reception for visiting crews. 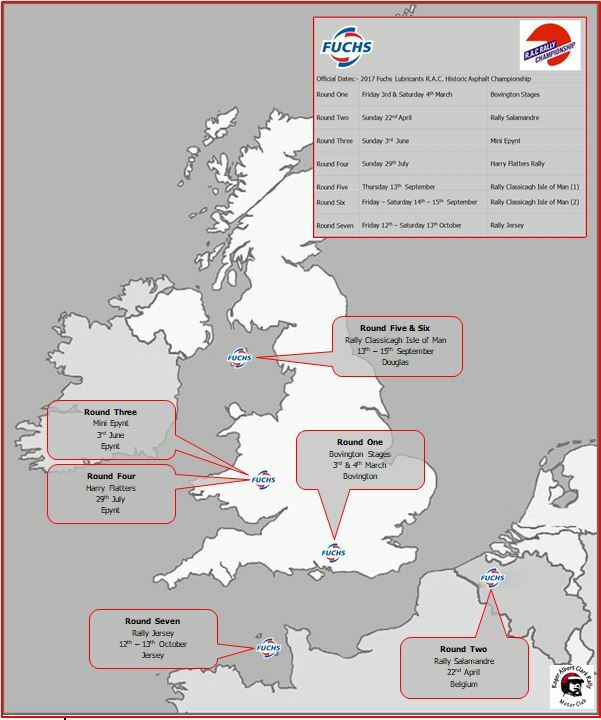 The route will cover up to 120 stage miles on the beautiful island and it is hoped that more championship contenders will build the event into their 2018 plans. Two of the events, the Harry Flatters Rally and Rally Isle of Man, are also rounds of the MSA British Historic Rally Championship. Crews will be able to score points towards both championships on those two events. The championship regulations and registration forms will be available in January.